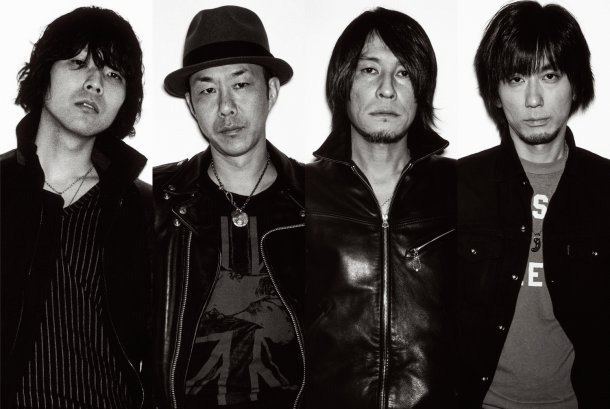 The Birthday is a Japanese rock band formed in 2006, shortly after ROSSO’s disbandment. Having played together in both ROSSO and Midnight Bankrobbers, Chiba Yusuke and Imai Akinobu decided to form a new band together, and were quickly joined by Kuhara Kazuyuki on drums and Hirai Haruki on bass. It’s worth noting that drummer Kuhara Kazuyuki used to play with Chiba Yusuke in the well-known garage rock band THEE MICHELLE GUN ELEPHANT, which broke up in 2003. The band’s first single “Stupid” was released in August 2006 by Universal Sigma, and since then the band has continued recording several singles and albums. Musically, the band is characterized by a straight-forward – often laid-back – rock sound and Chiba’s loud, yet melodious voice. While Chiba is the leader of the band and writes all of their lyrics, all members participate in arranging their music. On September 1st, 2010, it was announced on the rockin’ blues website that lead guitarist Imai Akinobu had retired from the band. Although no reason for the sudden departure was cited, Imai expressed his gratitude to the staff and remaining band members. The Birthday intends to continue activities with guitarist Fujī Kenji taking Imai’s place. Fujī, a founding member of the pop group My Little Lover, has also been active as a session guitarist, working with artists such as SMAP, BONNIE PINK and Watanabe Misato.